In February a federal judge blocked an immigration amnesty program by Barack Obama (see this post). The same judge, last night (exact time unknown), ruled that the blockage remains in effect. 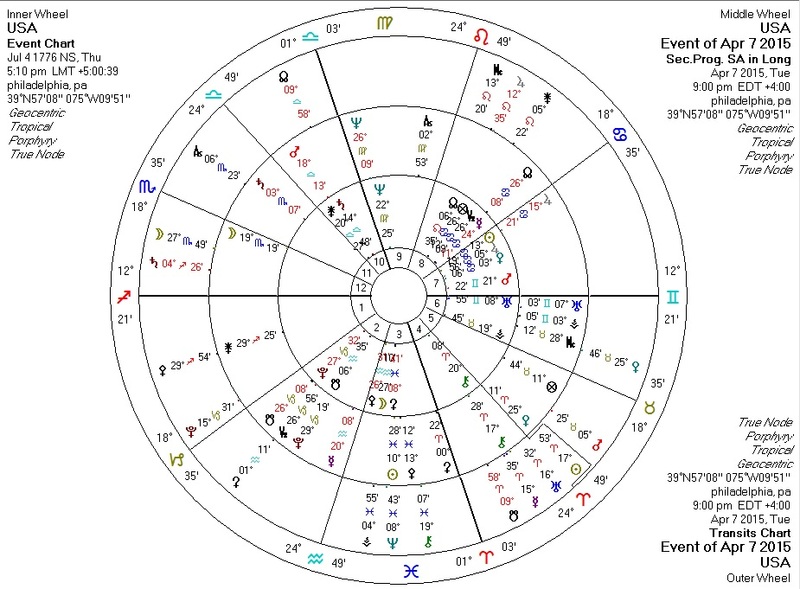 The astrology against the US chart is similar to last time, with similar interpretations. Transiting Pallas sextile US Pallas and semisquare progressed Pallas, transiting Sun septile US Pallas: consistent with the curtailment of authority. Maybe because the desire of states and localities to restrict immigration trumps the federal motion to open it on Pallas' "libertarian" scale, or because Obama's motion contains unknown authoritarian measures? Transiting Sun in the US Fourth House septile US Moon: US home and culture very temporarily reinforced. Transiting Saturn in the Twelfth House quincunx US Jupiter and Venus in the Seventh: generous gifts to "others" blocked or slowed. We get one more pass of this in the last quarter of this year.